CardioVascular Advertising Awards | Congratulations To All 2018 Winners! Congratulations again for entering the CardioVascular Advertising Awards Program. You have been honored with an award of excellence in marketing and advertising for cardiac and vascular service lines. Below you will find a link to download the list of winners from the 2017 program. 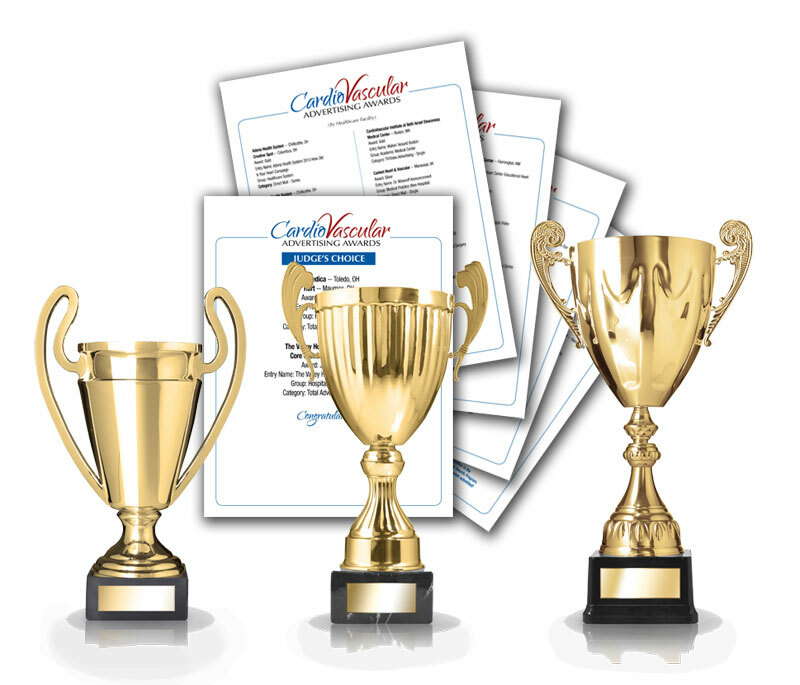 Make sure to take advantage of the press release and CVAA Logos in promotion for your awards. You will receive the password by email. If you need assistance with the password, please call us at (800) 254-6789 ext 102. The CardioVascular Advertising Awards Program is hosted by Marketing Healthcare Today and Creative Images, Inc., an internationally recognized firm that has specialized in strategic healthcare marketing for more than 25 years.